As usual it’s been a while since I sat down to write here. I feel like if I am going to take time to write then it should be worth something and be meaningful, not random ramblings for the sake of it. I’ve recently had the chance to work with one of the Middle East’s leading fashion brands, RIVA, and I thought today was a good time to talk about modesty and what it means to me personally as a Muslim. I think modesty has such a different meaning for each individual. If I had to class myself, I would say I come from a reasonably moderate background. My parents raised us within the important pillars of Islam, but growing up there was never any pressure or compulsion. There was definitely a sense of more modest dressing in my teen years, but that was largely self-imposed because I was so uncomfortable in my post pubescent figure and being a wallflower made me just want to hide as much as possible. I used to wear baggy t-shirts and jeans and that was pretty much my uniform in my younger teen years. My twenties were when I really started to embrace myself, slowly came out of my shell and I discovered fashion. My style has definitely been a slow and steady evolution. And now, in my early 30’s I can honestly say this is the most confident I’ve ever been, not only about my physical appearance but also confident in who I am as a person. To me modesty is not just about your outward appearance, but your whole persona and how you present yourself to the world. I always tell people whenever the topic of religiosity comes up that being a good Muslim isn’t just about clothes and praying 5 times a day, it’s also about how you behave and how you treat others. I would argue that being humble, polite, and kind is equally, if not more important than how you dress. I believe that everyone has their own self-imposed limits when it comes to modesty, and they usually evolve and change over time. For me personally for example, I don’t mind wearing sleeveless clothes, but I really avoid wearing anything that is above my knees. For someone else it could be that they avoid sleeveless altogether, or they have no problem wearing shorts. It can be very fluid from one individual to another and it’s always good to remember that before judging, and also it’s something that can slowly evolve and change over time. This past year especially, I have subconsciously been leaning towards longer and more covered silhouettes. What I like about RIVA is that they are a high fashion brand with a focus on modest yet stylish cuts. The clothes are feminine and chic, and there is literally something that everyone would like! 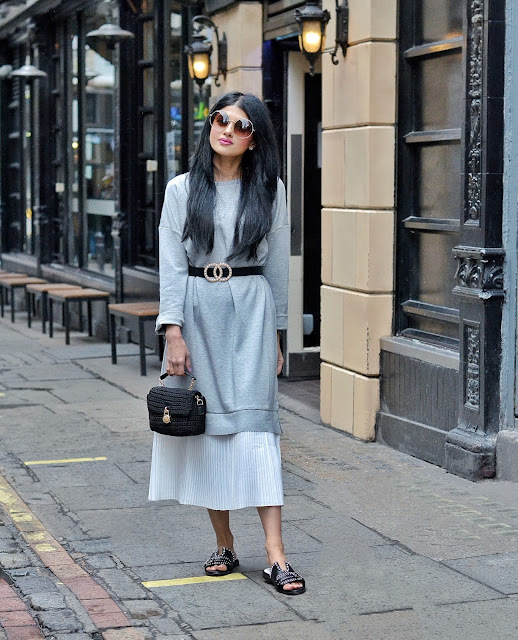 I loved styling and wearing the grey pleat dress and complimented it with some edgy accessories also from RIVA, such as the black crochet micro bag and black buckle slides. For the olive-striped two piece I chose to compliment it with some mustard accessories such as this cute bucket bag and mustard studded slides for a pop of colour. 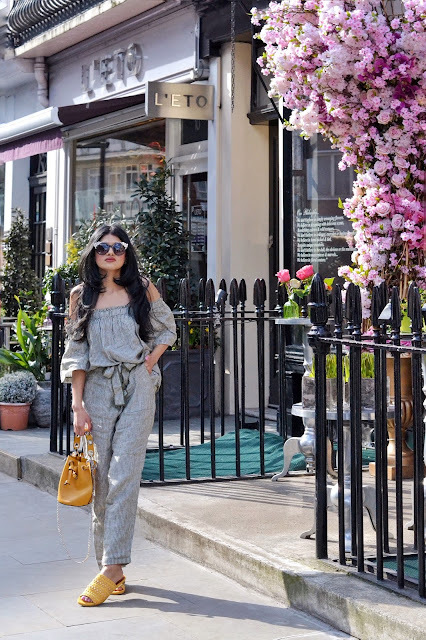 I really hope you enjoy the looks and get inspired to add some amazing RIVA Fashion Store Online styles into your summer wardrobe! Now can summer hurry up and come already? !